It's been a long time since I started working on this one....then put it away and finally dig it out to finnish it. 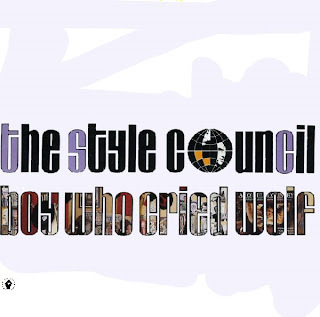 Paul Weller, Mick Talbot, Dee C. Lee and Steve White...only words that I can place by those names are...fantastic, excellent, great, amazing, wonderful etc etc. Something over 5 minutes version of ''Boy who cried wolf'' came out on their 1985 LP ''Our favourite shop'' (7'' offers standard 3:34 minute long version) and unfortunately that was all. Official extended or instrumental never came out.